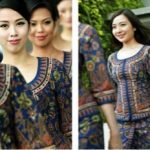 Traditional Malay architecture shows a high level of workmanship and was well adapted to tropical environments. 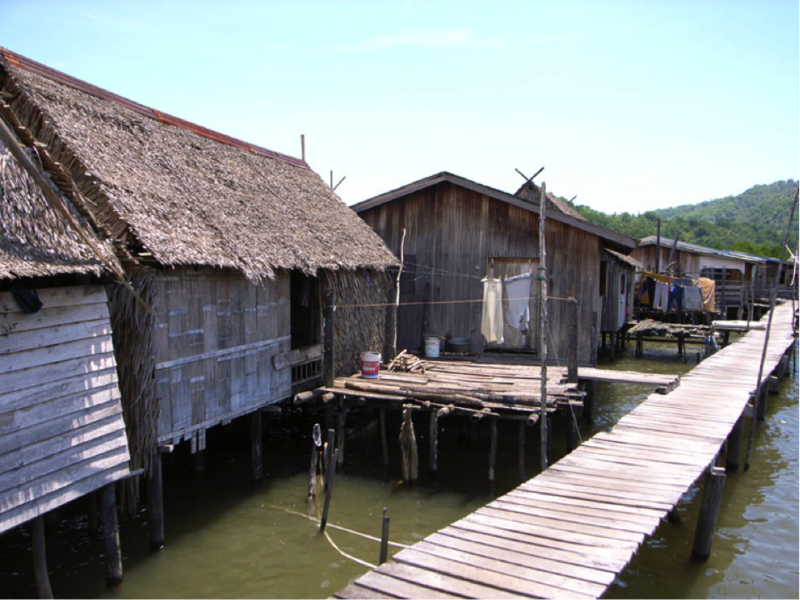 One example is stilt houses which utilize up-drafts to cool the house and mitigate the effects of floods. Another is the use of sloped roofs and large windows which allows ample airflow and often incorporates intricate carvings which are extremely beautiful. Traditional Negeri Sembilan hardwood homes are built without any nails and are constructed using fixed beams held together by wedge connections. Built around 1905, the Old Palace of Seri Menanti is a stunning example of this type of architecture. Many contemporary Malay and Islamic buildings incorporate Moorish influences. Examples include the Islamic Arts Museum as well as many buildings in the new administrative capital of Putrajaya and mosques throughout the country. Malaysian Chinese building can be divided into two categories – traditional and Peranakan. Traditional architecture can be seen in Chinese temples throughout the country, such as the Cheng Hoon Teng which was built in 1646. Many old buildings, especially in Malacca and Penang, are designed in Peranakan style, set apart by indoor courtyards and striking tiles. The Terengkera Mosque of Melaka is a rare example of the fusion of East and West architectural styles. It looks like a pagoda with a typical Chinese style roof, yet the railing and decorative details are Western. Malaysian Hindus originate mostly from South India where Hindu Temples have similar colorful architectural styles. The Sri Mahamariaman Temple in Kuala Lumpur was built in the nineteenth century and is one of the most stunning Hindu temples in the country. Its decorations combine exquisite carvings, gold details, hand-painted designs and beautiful tiles from Italy and Spain. Despite the small number of Sikhs, there are numerous Sikh temples dotted throughout the country, characterized by their elegant design. 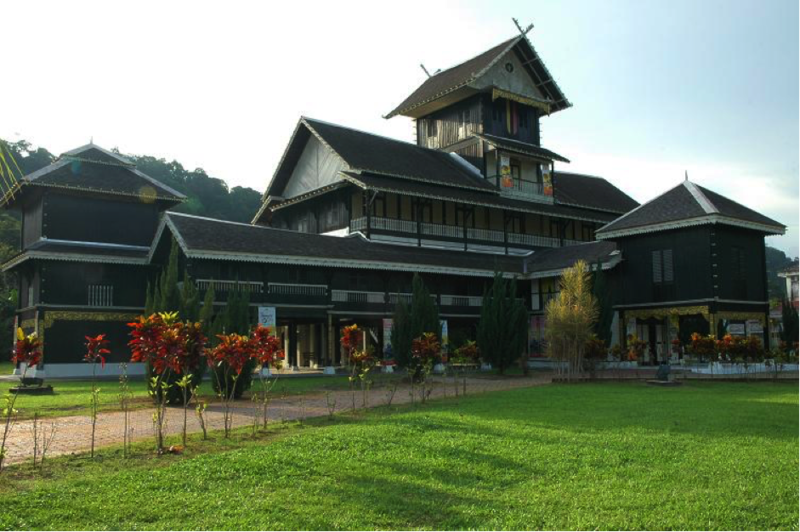 The indigenous people of Sabah and Sarawak have its own unique architectural style characterized by longhouses and water villages. Longhouses are traditional communal houses populated by tribespeople living on the banks of inland rivers. These are rows of stilted houses, typically made of wood and held together by vines, with roofs made from Nipah palm leaves or grass. Such longhouses can accommodate between 20 to 100 people. The stilted houses of ancient water villages can still often be found on river banks and coasts. There are wood-paved passages between the houses with smalls boat tied to them. The main mode of transport for villagers is by sampan or canoe. Colonial buildings were built from 1511 to 1957 and incorporate many different influences. 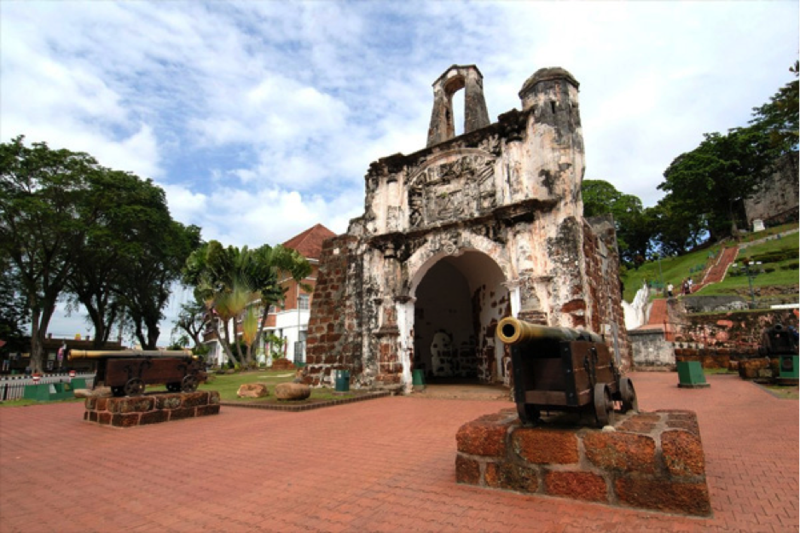 The most well-known Portuguese building is the A’Famosa Fort of Malacca built by Alfonso d’Albuquerque in 1511. The castle was almost completely destroyed by the Dutch and now only the ruins remain in the hills overlooking Malacca City, the old port and the Strait of Malacca. 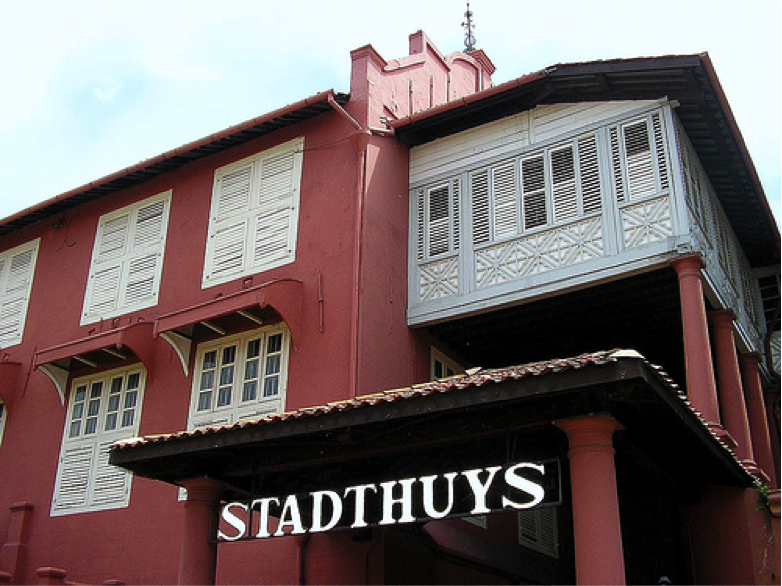 The Stadthuys House of Malacca City has heavy wooden doors, thick red walls and wrought-iron hinges. It is one of the most spectacular monuments remaining from the Dutch colonial period. It showcases exquisite Dutch masonry and carpentry. 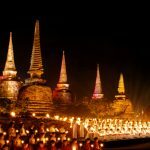 It was built between 1641 and 1660 and is allegedly the oldest building in Asia. 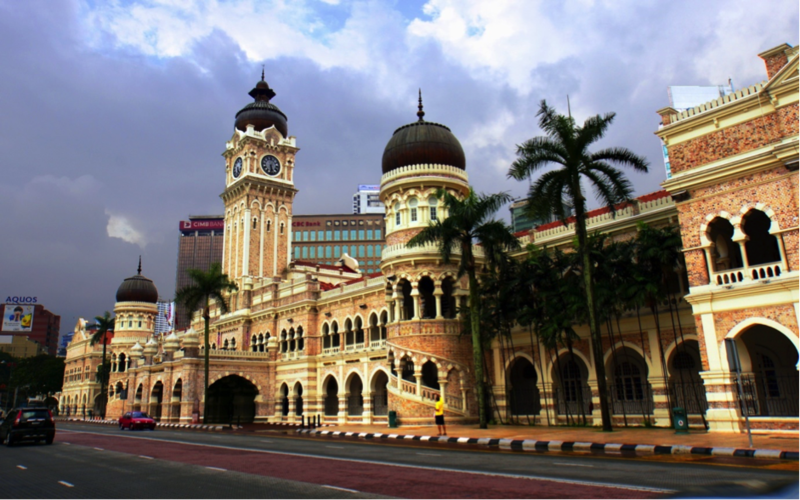 The British built many magnificent buildings, including the towering Sultan Abdul Samad Building which overlooks Merdeka Square in Kuala Lumpur. This was built in 1897 and is an example of beautiful Moorish architecture. During the British rule it served as the office of the colonial government. Today, unrenovated standalone shops still exudes character and charm. British ingenuity can be seen in the five-foot-ways which were pedestrian sidewalks that provided shelter from the rain. The 500 year history of trading in the Malacca Strait has provided Malacca and Penang with unique cultural characteristics. The multi-cultural Asian and European heritage can be seen throughout government buildings, churches, city squares and other buildings. The influences of the early fifteenth century Malacca Sultanate, the Netherlands and Portugal are reflected in the cultural history of Malacca. 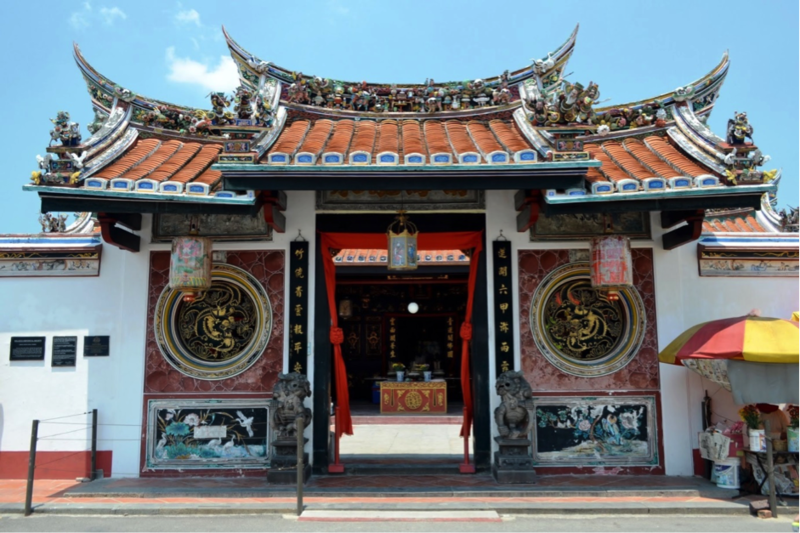 Penang reveals architectural influences from the British colonial rule of the eighteenth to the twentieth century. This unique cultural and architectural melting pot can be seen across Southeast Asia and is embodied by the World Heritage List recognizing Malacca as “the historical city of Malacca Strait”.